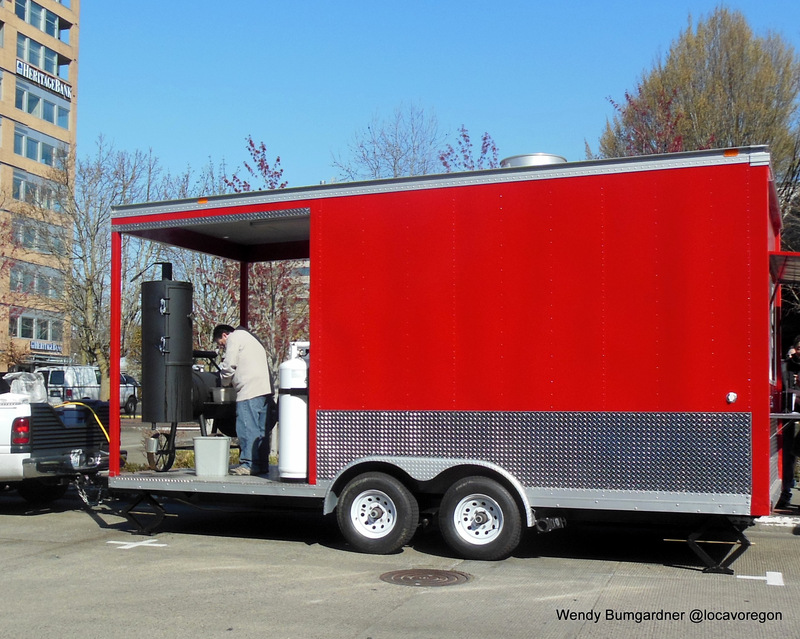 While Portland sprouts food carts as fast as blackberry vines invade your back yard, Vancouver, Washington has restrictive laws that have acted like Round-Up for our mobile eating scene. 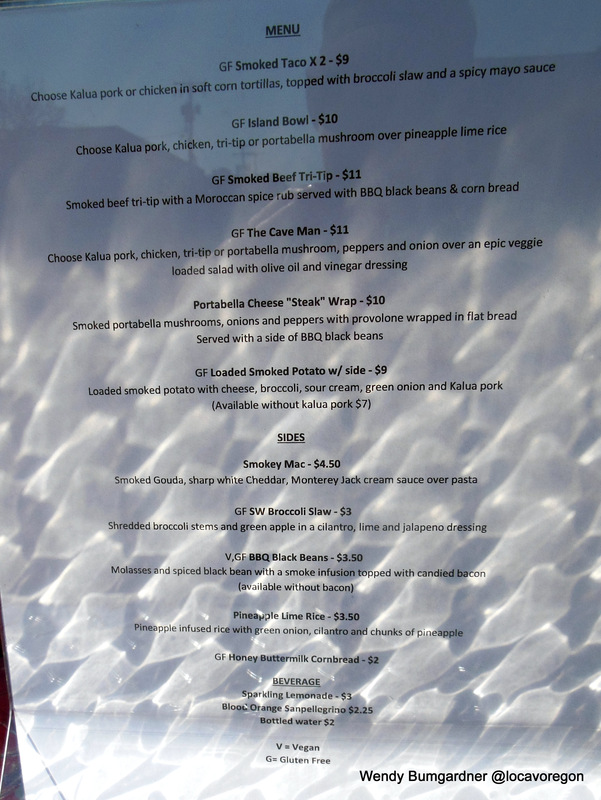 I was very excited to attend the soft opening for the Esoteric BBQ truck on Sunday, March 23, 2014. 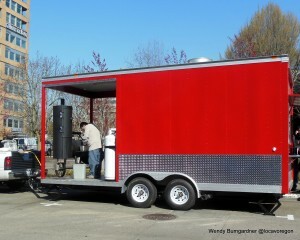 The bright red truck features a smoker on one end and ordering window on the opposite end. But the smokey flavored foods hail more from Hawaii than from the southern states. I perused the menu and settled on the Island Bowl. Like many items on the menu, it is designated gluten free. 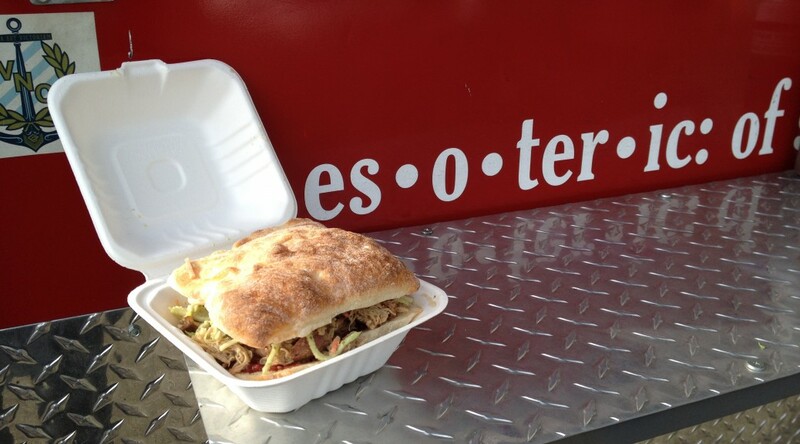 It’s available with Kahlua pork, chicken, tri-tip or portabelloa muschroom over their pineapple lime rice that is infused with green onion and cilantro. 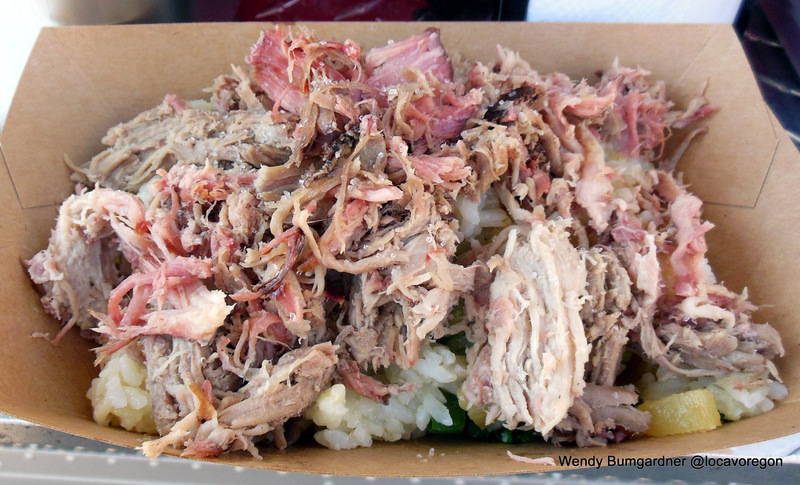 The bowl arrived unadorned, with moist and succulent Kahlua pork sprinkled with salt and mounded on top of the rice. They have squeeze bottles of bbq sauce, siracha mayo, sweet chili sauce and plain siracha to put on your dish. I was very pleased with the bowl. 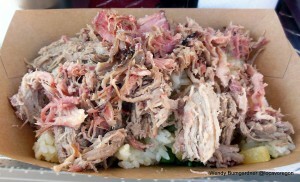 I liked the pineapple rice and it complemented the pork. I didn’t feel any real need for the condiments, but sampled a little anyway. 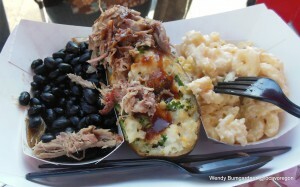 Next time, I would probably go for the Smoked taco, which comes in a soft corn tortilla and is topped with broccoli slaw. 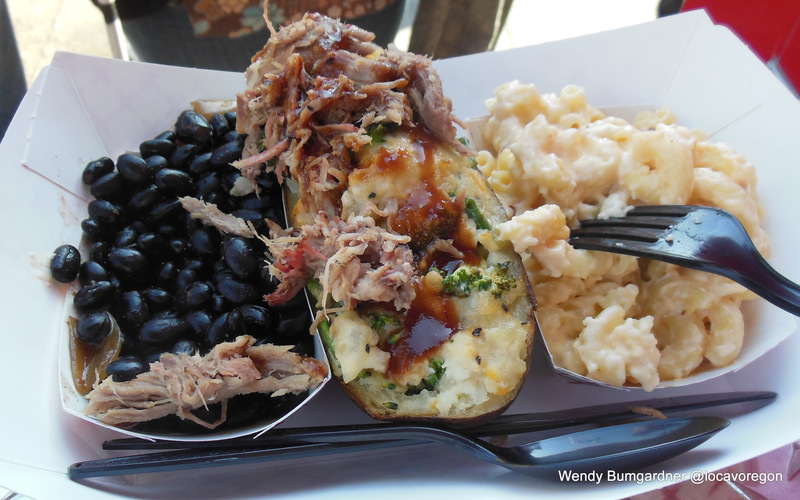 Many people were ordering the BBQ black beans topped with candied bacon and the Smokey Mac made with smoked gouda, sharp white cheddar, and Monterey Jack. In addition to the meaty offerings, they also have a smoked portabella mushroom available in a flat bread warp with onions, peppers and provolone. I look forward to stalking this truck and enjoying more of their food.